Our 1st Spiritwear Store of the school year is now open! Place your order by Sunday, August 26, with an option for shipping directly to your home! 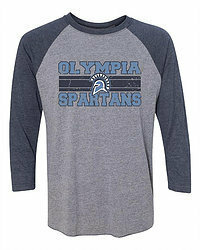 Click on the link below, then click "Olympia Spartans" and start shopping!